The EU’s Common Agricultural Policy (CAP) is the system of agricultural subsidies and programmes. It covers farming and environmental measures. It accounts for over 40% of the entire EU budget. The amount available under CAP is £15 billion over the next 7 years. Of this about £3.5 billion will be invested in schemes to grow the rural economy and improve the environment. The way in which this amount is to be distributed is, however, new. The way to reform was paved by last year’s political agreement to change the way farmers will be supported. The changes are to take effect from 1 January 2015 and a new application form will be available early next year. Unfortunately, the domestic regulations continue to emerge (and the position is different in each of England, Scotland and Wales!) 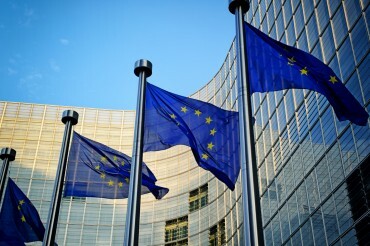 The European Commission implementing regulations have still to be finalised. As things stand, many questions remain. Essentially, the Single Payment Scheme goes and is replaced by the Basic Payment Scheme (BPS), with a minimum claim size of 5 hectares. To the basic payment are added payments for so-called “greening” and payments for young farmers. It is worth noting that the CAP budget will fall between now and 2020 and the UK will get about 2% cash less. This does not mean, though, that the same reduction will apply at individual farmer level. Applicants for BPS have to comply with greening. In return, an additional greening payment will be made. The greening requirement covers permanent grassland, crop diversification and ecological focus areas (EFAs). Permanent grassland means land that has not been part of arable rotation at any point in the last five years. A ratio of permanent grassland to the national total agricultural area is to be established and measures are to be introduced to ensure that this does not fall by more than 5%. There will also be requirements on countries to designate environmentally sensitive areas. Crop diversification applies to farms with more than 10 hectares of arable land. Those with less are exempt, as are, for example, farms where more than 75% of the agricultural land is permanent grassland (provided that the remaining arable area does not exceed 30 hectares). Incidentally, land certified as being farmed organically automatically qualifies for greening. The greening payment will be paid as either a flat rate payment per hectare or linked to the amount farmers receive under the BPS each year. There can be no doubt that the 2013 political agreement paved the way for a scheme more complex than now exists. Most certainly, there will be additional obligations on at least some farmers. There will be a national reserve that will provide entitlements under the BPS for those such as new entrants and young farmers. There are many aspects of the new regime that are uncertain and will remain so until the regulations are available. The incomplete picture poses difficulties for farmers and advisors alike. BPS farmers will have to get to grips with the greening provisions very soon. This autumn’s planting is a matter of months away. TSP will be hosting a seminar for professional colleagues on the detail of the reforms on 9 July 2014. Stephen, who is a Fellow of the Agricultural Law Association, can be contacted on 01206 574431 or stephen.firmin@tsplegal.com.